Why Did Chevrolet Camaro Sales Drop Last Month? There are a few possibilities why. Summertime is all about spending time outside and for those who own sports and muscle cars, like a Chevrolet Camaro, you’d think it’d be the ideal time to go cruising before that wintry weather strikes. Thing is, Camaro sales, according to what GM Authority discovered, were down for last month, a decrease of 26 percent compared to the previous July. Camaro sales also haven't been so hot in the UK. Specifically, Chevrolet sold 5,520 Camaros in the US in July 2016, compared to 7,469 sold the previous July. 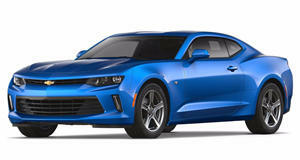 In fact, Camaro sales were down by 15.4 percent for the first seven months of this year, totaling 42,354 units. So what’s going on here? There are a couple possible reasons. GM Authority believes it’s simply a case of higher price tags and fewer incentives. In addition, there are several parts of the US where sixth-generation Camaro supply has been slow to arrive in dealerships. It may not be a case of a lack of interest in the car, it’s just that the price isn’t good enough for some and they want to hold off for the time being. It’d also help for there to be actual cars to physically buy. Chevrolet is expected to respond to the Camaro supply issue shortly with a hopeful solution.